Luke Goodman Cinematography Blog: Radhika and Nick on Wedding Chicks! Radhika and Nick on Wedding Chicks! 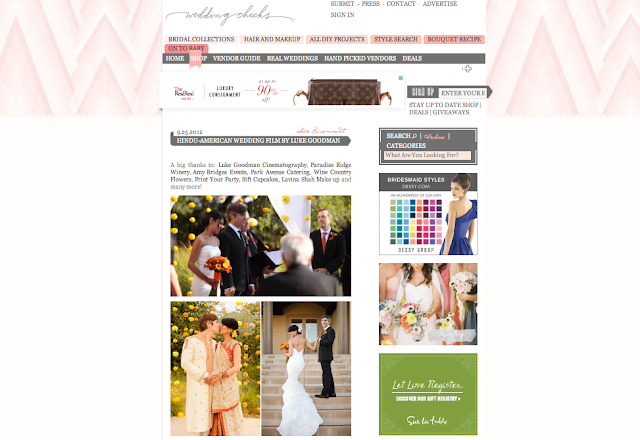 Radhika and Nick's wedding at Paradise Ridge Winery last fall was just featured on wedding chicks today! Check out their beautiful photos by Kristy Ahumada of Volatile Photography.